made from Dyneema® and each part of the system is floating. 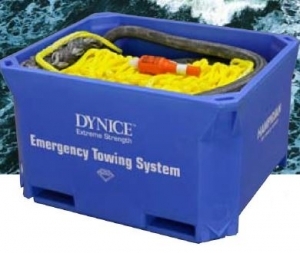 The ETS system is stored in heavy duty polyethylene container with strong top cover which is easily and securely closed with rubber straps. The container is prepared for easy bolting on deck.